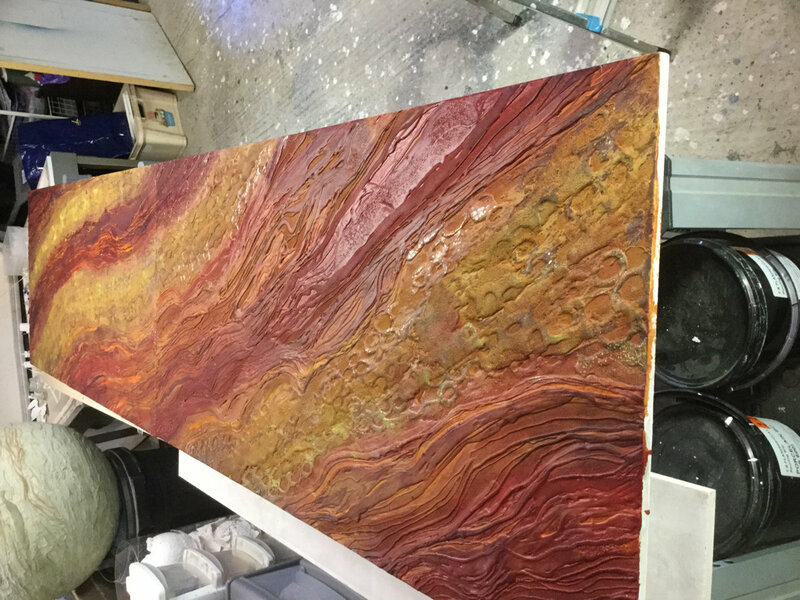 The commission of 2 panels each 4′ long x 2′ wide is complete, clients and artist happy with end result, and a huge relief, of the final outcome. It is a massive responsibility to undertake a commission that you know means a great deal to both parties. 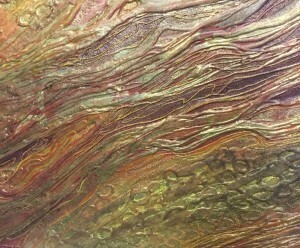 I have found it an interesting process, and because the new work was inspired by a previous piece of mine, it was strange to see how my interpretation had progressed, and changed, I found that I could not re inhabit the same space I was in previously, and that my style had subtly altered. 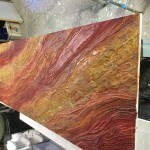 It only remains for the work to be hung in the clients home, and I will be posting pics of the panels in situe, cant wait. 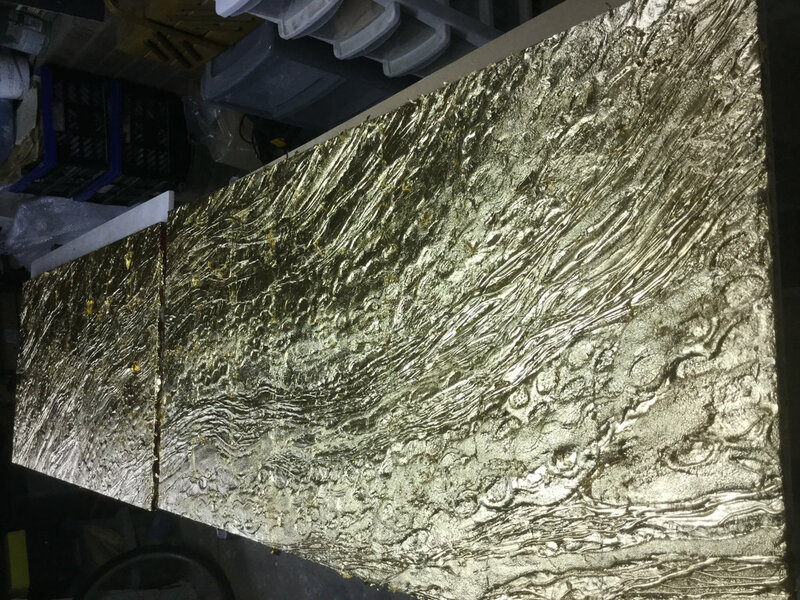 Continued with under painting of panels, using acrylic paints, this is just the first part of my process, and it is important to get a good balance of colour bearing in mind that it will all be completely gilded over. 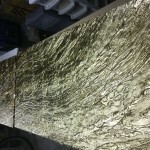 Gilding completed today, will leave overnight and then distress both panels tomorrow, as timing will be critical. Coming towards the culmination of these panels, I always enjoy this part as it is a coming together of all the processes. By now the panels are quite heavy and really take some man handling around, sometimes wonder why I don’t just paint on canvas, but then I guess I wouldn’t enjoy it half so much, and for me, texture and relief is my passion.